Two planets so close together they share a common atmosphere. 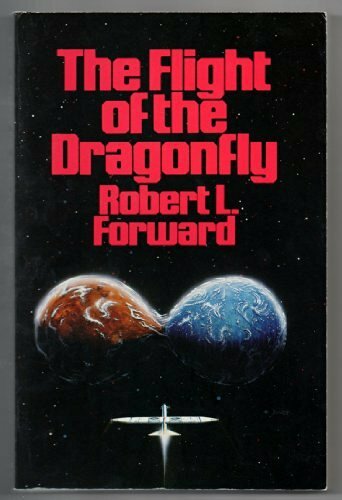 Rocheworld (first published as The Flight of the Dragonfly), in which mankind's first interstellar mission, set to reach Barnard's Star,finds this unimaginable place. How? 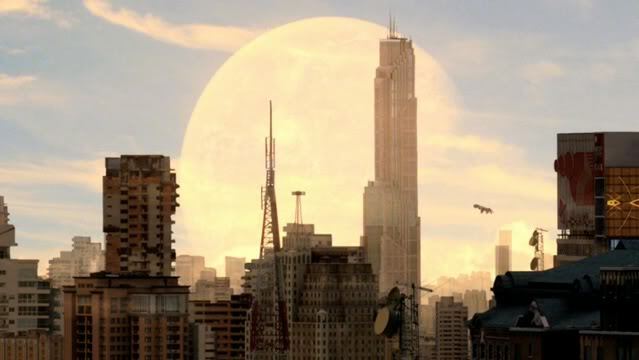 Ever seen that scene from The Time Machine movie (2002) in which the lunar demolitions set our Moon off orbit and is it approaches the Earth it starts breaking up? It disintegrates as a result of having reached the Roche limit: the point in which the Moon's gravity (83.3% less than Earth's) is no longer sufficient to make it hold itself together due our planet's stronger gravity exceeding that of the Moon, ripping it off. However, in theory, if you had two planets with roughly the same gravity (same mass and density), their Roche limit would be sufficiently small for both to be close enough to share a common atmosphere. Their mutual gravitational influence would also make them slightly egg-shaped. 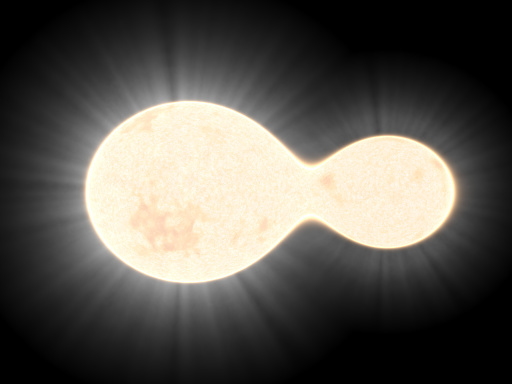 Astronomers know of the existence of contact binary stars, orbs so close together that they touch each other or have merged their gaseous envelopes; when it comes planets, also massive bodies, they are subject to the same gravitational forces. 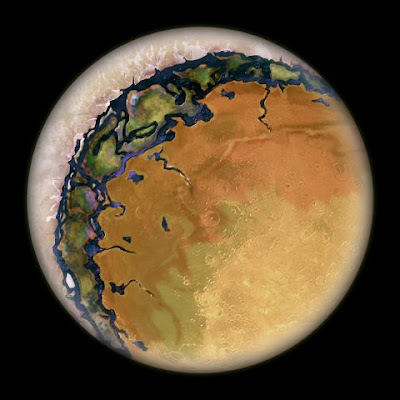 Among the billions of habitable worlds thought to be in our galaxy, one or more, out there, could be a Rocheworld. 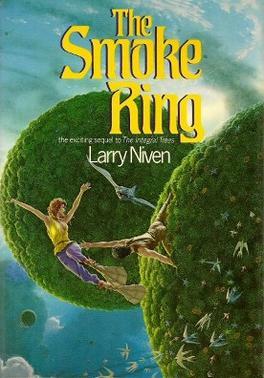 The notion of a habitable gas torus is presented by Larry Niven in the "The Integral Trees" and its sequel "The Smoke Ring"; this remarkable environment consists of a gas torus, one million km thick, around an old neutron star. The torus is created from the captured atmosphere of a gas giant which orbits the star just outside the Roche limit. Most of it is too thin to be habitable but its central part has enough pressure to support life. The torus contains numerous globs of water and tidally locked, radially oriented "integral trees" which are up to 100 km long. The leafy tuft ends of the trees, subject to gale-force winds curve into the shape of an integral symbol ∫ (see illustration below). These wind forces also push water and nutrients into the tufts. Being there no up or down, the animals of the torus posses trilateral symmetry allowing them to see in all directions. Neutron stars are supernova remnants, so how did a gas giant survive a supernova? Perhaps, it formed after the stellar explosion or was later captured by the star. A habitable gas torus is an incredible idea, indeed, but if life is widespread in the universe, it could end adapting itself to unexpected places. Don't worry, those are human colonists and not mermaid like aliens. the neutron star around which Larry Niven's habitable smoke ring orbits. How habitable is our planet when you consider its hot and cold deserts that cover 1/3rd of its land surface area? On our Terra the diversity of life increases at the tropics, as you get closer to the equator. Now imagine a world with tropical zones extending higher in latitude: a warmer and larger Earth with shallower waters in-between fractionate continents and archipelagos. Shallow oceans would give birth to immense coral reef systems. In contrast, little sunlight reaches the average depth of Earth's seabed, poor in food resources, where large populations of big animals are not supported. Smaller and more evenly distributed continents would be more habitable whilst large land masses have large inhospitable areas in their interiors. The former would produce a greater variety of lifeforms and probably of tropical paradisaical beaches; in other words what could be called Eden worlds. 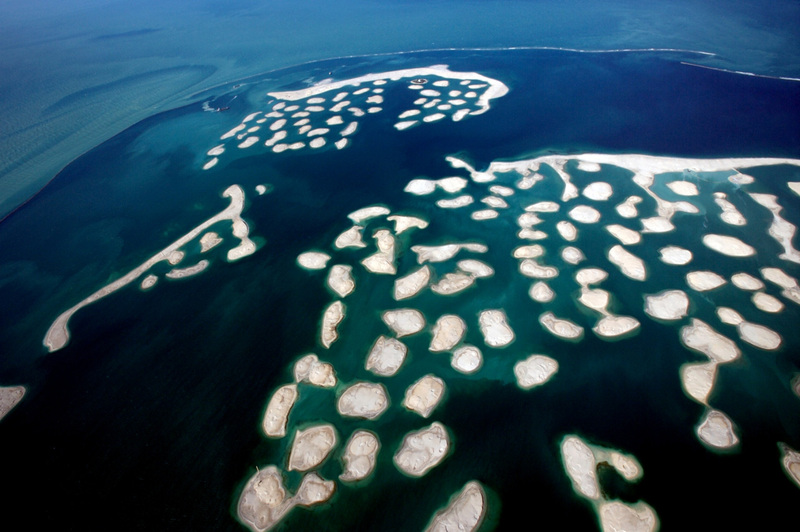 The World artificial archipelago in Dubai helps illustrate the idea. Think of replacing our moon with a Mars-sized or Earth-sized planet and spacing them so that they orbit a common center of gravity that lies outside the Earth. You'd probably get two stable habitable worlds. If we lived in such a system the first lunar landing would've been a lot more interesting and hopefully peaceful, if intelligent life had convergently evolved at both sides. During early asteroid collisions, life from one planet could migrate to the other by the process of panspermia. rotating around their common center of gravity. How many stable habitable planets could be packed in a single solar system? 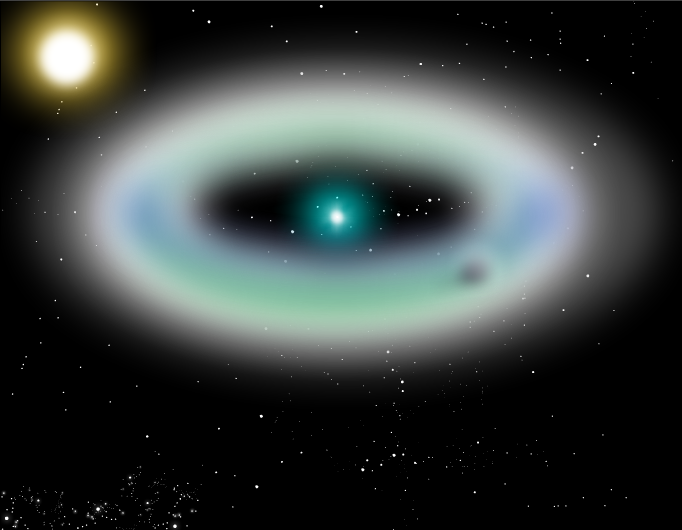 According to astrophysicist Sean of the Bordeaux Observatory, up to 60, if you include a pair of binary stars, warm gas giants with multiple habitable moons and habitable double planets. "I admit that it would be extremely fortuitous for nature to produce a system that was so spectacular," says Raymond. "Still, each piece of the system is plausible and even expected from simulations of planetary formation." We heard of the detection of three habitable planets around Gliese 667 C. How many more could naturally occur around stars? Humans are only left with the option of terraformation but perhaps somewhere in our galaxy, an extraterrestrial civilization lives in a super-habitable solar system traveling between a dozen of culturally diverse worlds. The twelve colonies of Kobol or the Firefly 'Verse could be out there. And perhaps, systems with a single habitable planet, like ours, are uncommon, the exception to the rule. Most of the stars in our galaxy are red dwarfs. This cooler stars have their habitable zones closer in; this increased proximity would make planets in this area tidally locked. 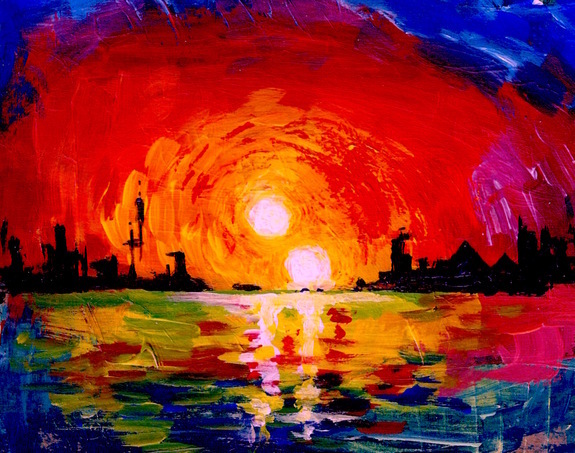 One of their hemispheres would be dry and bathed in eternal sunlight and the other eternally dark and frozen. In between, a ring, friendly to life, could exist. 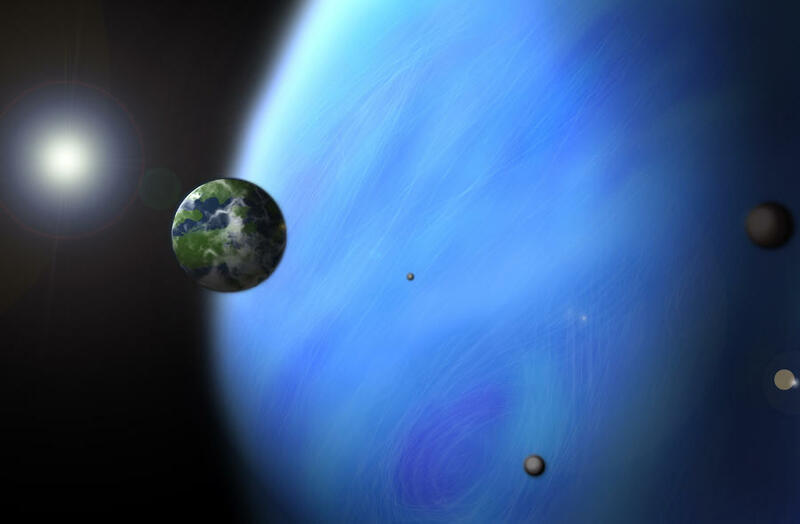 Colder Eyeball-Earths, closer to the outer end of the habitable zone, would be white frozen water worlds with a pool of blue liquid water on the starlit side, making them look even more like eyeballs. We knew they could exist but just now, we've found out that they are likely common in our Milky Way. Gas giants had already been spotted orbiting binary stars but it was thought that the gravitational forces around these pairs would make it too chaotic for Earth-like planets to orbit them; however, a new study led by author Ben Bromley, of the University of Utah, suggests otherwise. From the results of computer simulations the author said that "It is just as easy to make an Earth-like planet around a binary star as it is [to do so] around a single star like our sun,"
Think of Earth's seasons taken to the extreme. Worlds, with eccentric elliptical orbits where life goes into hibernation for years to be reawakened when the planet passes close to the star. You are in trouble, if you find yourself stranded in such a world at the beginning of spring, just before its giant deadly creatures revive. They couldn't be missing. These are moons of Jupiter-like worlds sheltering closer in the warmth of their incandescent source of life. Gas giants in the habitable zone were liquid water could flow on their moons. Worlds with night skies brightly lit by their Jupiters and their satellites or by the surely breathtaking rings of their Saturns. What other odd worlds will we soon envision if not soon confirm? What revelations await us? Hopefully once SETI tunes into that galactic internet, Frank Drake believes advanced civilizations have created, we will know more.